This site is in perpetual construction---we are always adding new gourd art and other information! Please, E-mail Margaret for purchasing information. 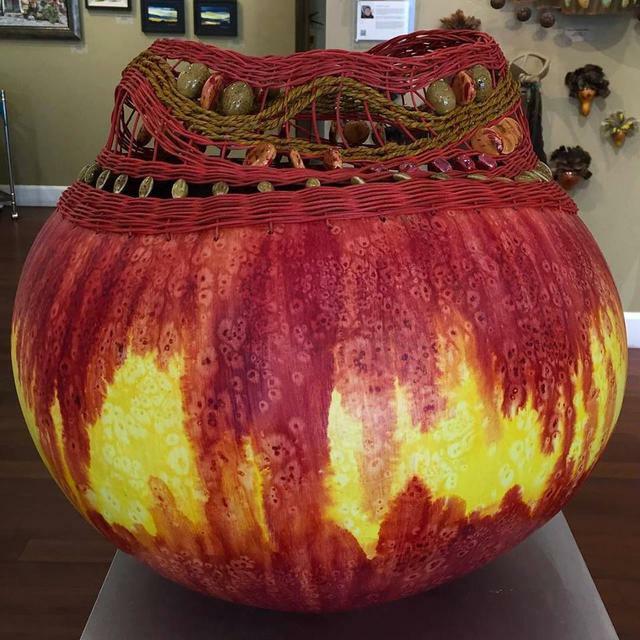 Visions of gourds keep Margaret Sullivan awake at night. 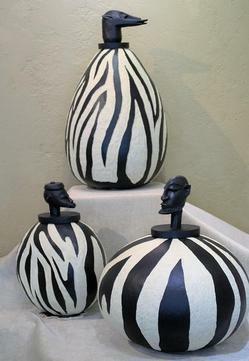 When her husband takes her fishing, he sits in the boat relaxing while she hunts down rocks for her gourd art bases.She has transformed her Southwest home into a gourd art gallery.In 1998, Margaret and Fred Sullivan moved to Rio Verde with plans to retire and visit with their three daughters and grandchildren. She wanted to travel and he wanted to golf. However, her life of leisure was disrupted when Margaret stumbled upon a gourd centerpiece at a cocktail party. Fascinated, she borrowed text and books about gourds and traveled to a gourd farm in southwest Phoenix.Her daughter bought Margaret her first bag of gourds for Mother’s Day. What is it? A gourd grows in a field like a pumpkin but takes a year to harvest. At least 35 varieties of gourds exist. 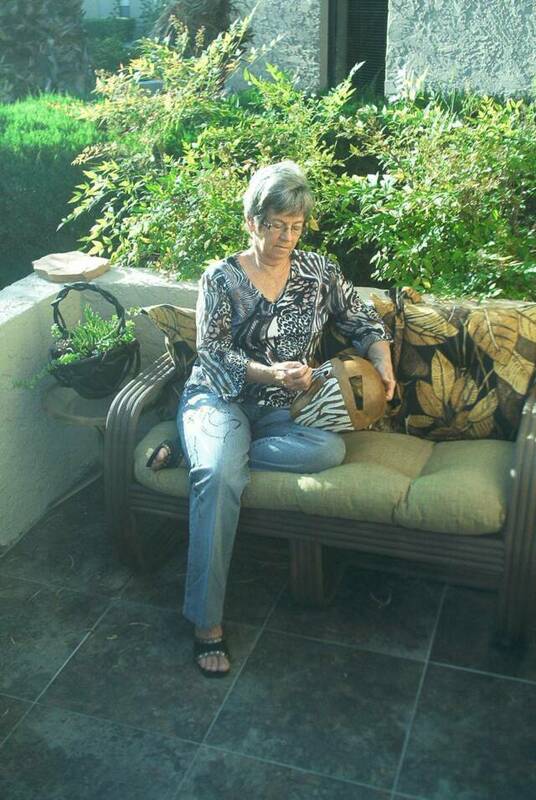 “What you can do to wood, you can do to a gourd,” she says. 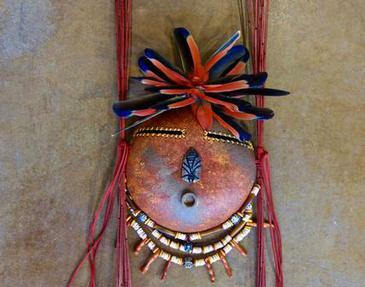 Margaret specializes in creating diverse kachina dolls, masks and gourd bowls. Boxes of bare gourds reach the ceiling of Margaret’s garage barely leaving enough room for a car. READ MORE of Take Five's interview with Margart here! Community Center, 13001 N. La Montana Dr.